The big 30 — it’s a birthday the average person approaches with considerable trepidation, but the laboratory of Jeremy Nathans is far from average. 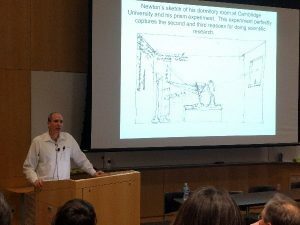 On July 27, the Nathans Lab held a seminar to celebrate its 30 years of research at Johns Hopkins and to pay homage to the people who have made that research possible. As I sat in the Mountcastle Auditorium waiting for the seminar to begin, I was surrounded by scientists spanning several generations who were engaged in boisterous conversation. It was a sharp contrast from the typically infrequent and hushed whispers that scientists are prone to exchange before lectures, and it felt more like a family reunion than a scientific seminar. 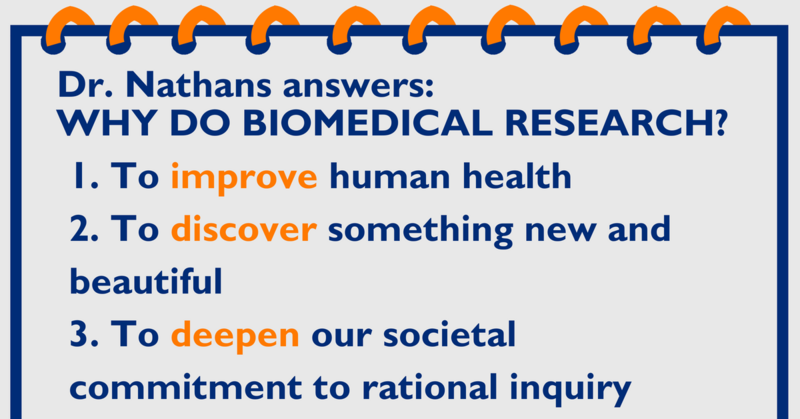 Jeremy Nathans opened the presentation by saying that “biomedical research is the ultimate team sport.” This theme of community ran throughout the seminar, and Nathans made his acknowledgements early instead of putting them at the end as one normally would. He stressed the importance of mentors, especially his thesis adviser David Hogness, longtime collaborator Lubert Stryer, and his father, Nobel laureate and Johns Hopkins professor Daniel Nathans. However, no one is too great or too small to be beyond the notice of Jeremy Nathans. He carries a little black book to keep a record of the people he meets. To date, he estimates there are more than 1,000 names in the book from Johns Hopkins, including collaborating scientists, students and staff members. Always the scientist, Nathans made detailed timelines during the seminar of all past and current members of his laboratory, the scientific questions his lab has tackled over the years and technological advances the lab has made. Of course, there was not enough time to cover all the Nathan Lab’s scientific contributions to our understanding of the visual system, Frizzled receptor signaling and many other areas. Nathans discussed some of these projects via short “science vignettes,” although I was more delighted when he shared some projects in his lab that have not worked. He mentioned two in particular, regarding the molecular genetics of human sexual orientation and of an eye misalignment disorder called strabismus. It is clear that Nathans is fascinated by these two areas, but both have remained equally enigmatic. His lab has only published one paper on the topic of human sexual orientation — 25 years ago, with negative findings — and despite studying a large family affected by strabismus, in collaboration with Marshall Parks, a renowned ophthalmologist, the lab has been unable to pinpoint a genetic cause. As a graduate student, I often dwell on the negative aspects of academia, such as the lack of work-life balance, the perpetual struggle for funding, and the seeming ever-present competition. However, seminars like Jeremy Nathans’ remind me that academia, at its best, is a community striving for exactly those three goals.